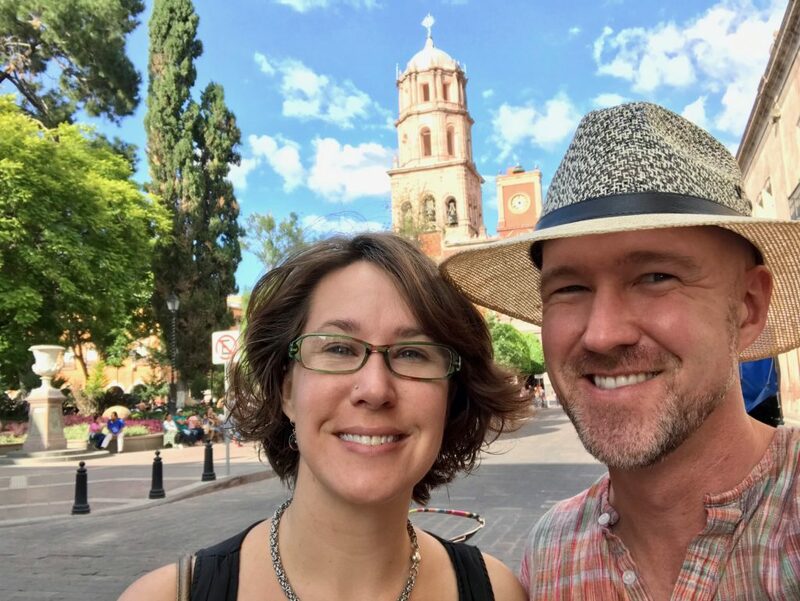 The magical city of Querétaro is a bustling center of history, art, and tasty food. We fully enjoyed walking around, popping into cute boutique shops that caught our interest, and restaurants with some prime people-watching tables. The streets are all abuzz with magic! The Historic Monuments Zone of Querétaro is a wonderful UNESCO World Heritage Site. If you’re inspired, feel free to check out the full listing of UNESCO World Heritage Sites. In our experience, the UNESCO-blessed places of the world offer an extraordinary “special something” that you can’t find just anywhere. 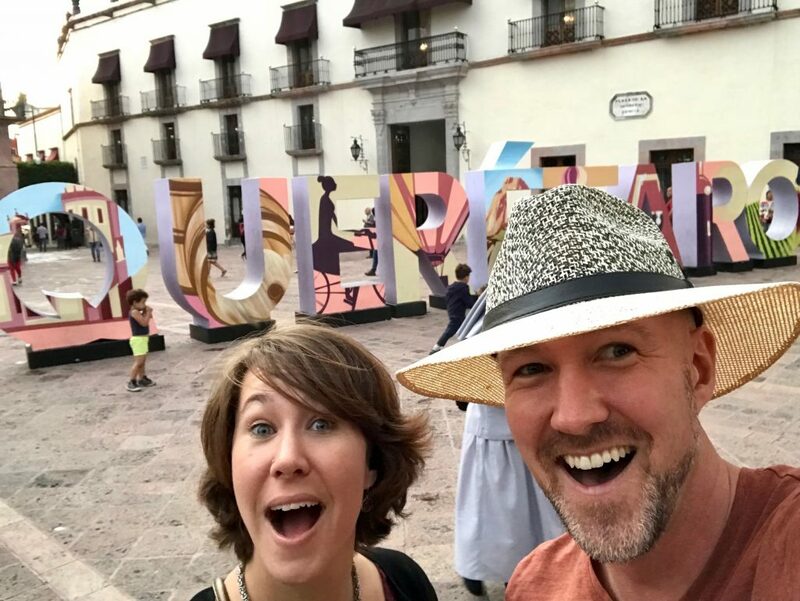 We found that this was the case for Querétaro, too! The streets are bustling with art! 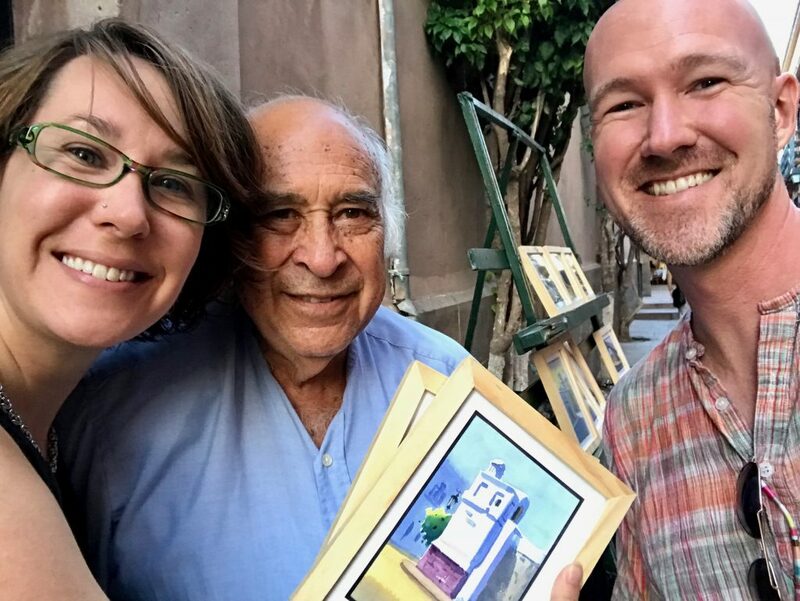 As you walk down the cobblestone streets you’ll be amazed by the artwork being sold by talented artists. When you visit Mexico, you can’t leave until you have purchased a few handmade gems. If you want to say you’re purchasing them as gifts when you’ll actually keep them for yourself… we won’t tell! The streets are alive with cafés and music! 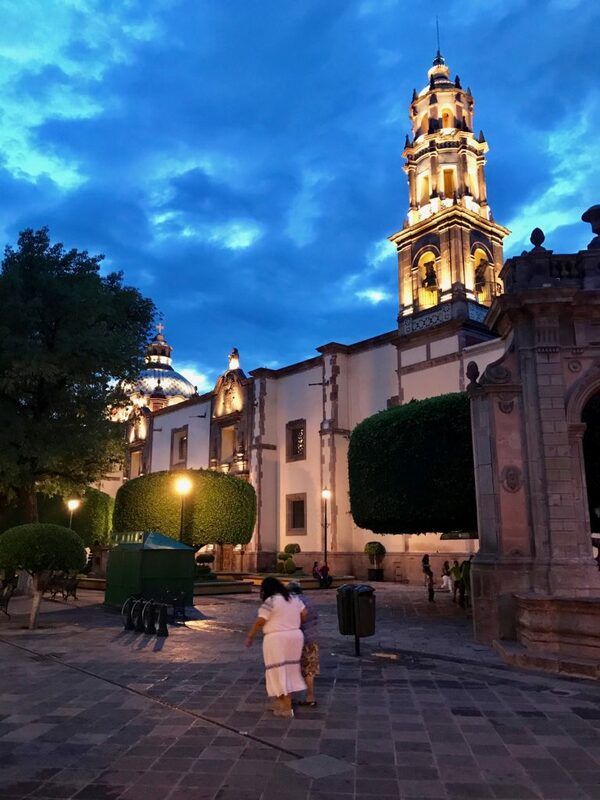 The historical center of Querétaro sports lovely cobblestone walking streets that are lined with cute cafés and street performers. We were delighted to find a bit of shade in one of the many plazas and enjoy live music — especially around lunchtime when it was the warmest. Although if you’re feeling a little peckish, there plenty of cool restaurants to choose from. 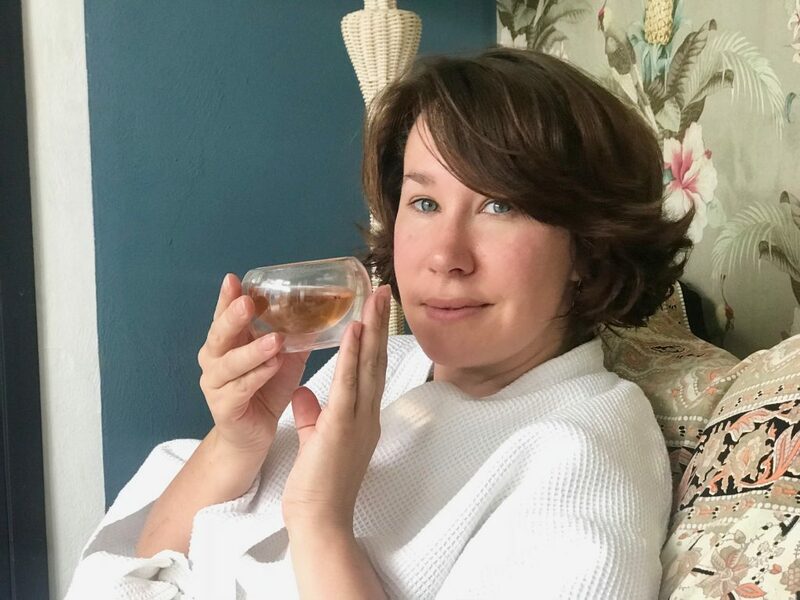 In the heart of the historical district is a boutique hotel that will make you feel like family. La Casa del Atrio is ideally located in the heart of the action, and the hotel is part of the Mexico Boutique Hotel collection — which boasts many of the best boutique hotels in Mexico. If you’re looking for a special, personalized experience, we highly suggest you check them out! The hotel is decorated with incredible antiques! 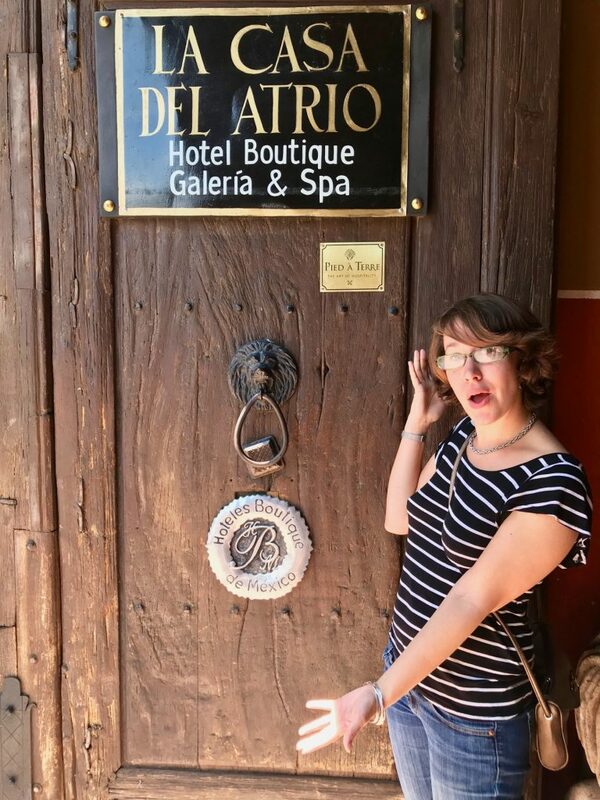 Get ready for a treat: the entrance to the hotel is an amazing antique gallery! But the unique and incredible furnishings don’t stop there — they are continued throughout the hotel and rooms. That’s right, art and history aficionados!! Relax or work in the beautiful gardens. As you meander through the hotel to your room, you’ll notice lush gardens and hidden nooks. We enjoyed making one of these gardens our office for the day, and it was truly refreshing to be surrounded by such beauty. You’ll also find more art and antiques tucked away throughout the gardens. Choose where to eat breakfast. As you know, breakfast is the most important meal of the day! 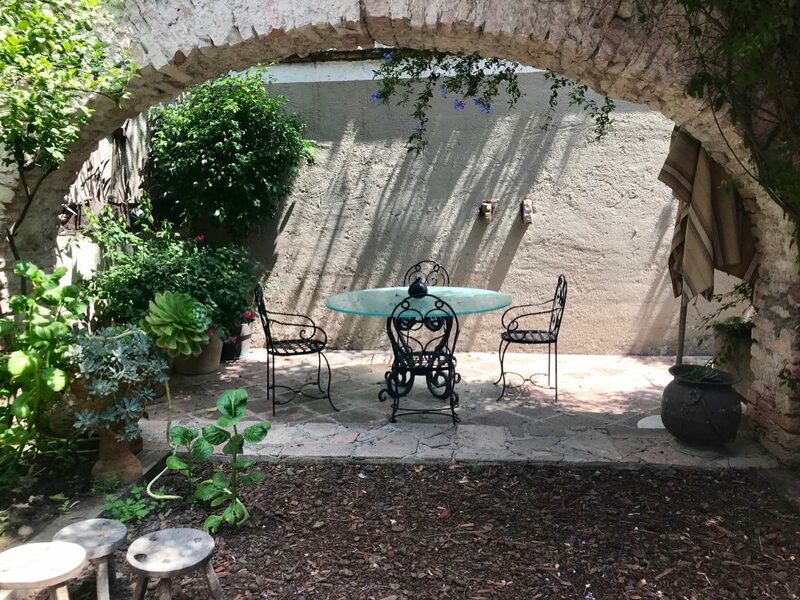 Enjoy yours in one of the gardens at La Casa del Atrio. After breakfast, head to the spa for a relaxing treatment! Did someone say “couple’s massage”? Whether you’re with your partner or by yourself, everyone could use a little pampering. We enjoyed a relaxing couple’s massage. We laid side by side on two massage tables, and we each had talented masseuses working out our tight muscles. After the massage, we enjoyed a cup of hot tea, sweetened with honey. Overall, the experience was truly incredible, and it left us feeling blissed out! When you start to feel a little peckish, right next to La Casa del Atrio is a restaurant we highly suggest checking out! At Tikua Sur Este you can enjoy some really tasty Oaxacan dishes. The waitstaff was wonderful about describing the various mole sauces and what each sauce paired well with. We couldn’t decide on one, so we enjoyed a sampler platter. Also, the Aztec soup was some of the best I have ever had and can’t wait to go back — maybe just for the soup! 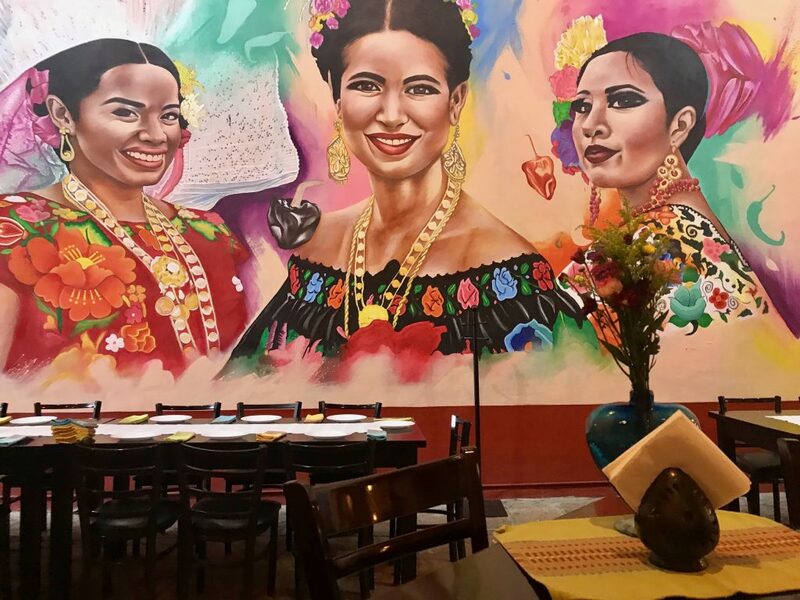 If you’re looking for something a little different, you should head to Raíces, which is only a hop and skip from the hotel. There, we enjoyed grilled octopus and a tuna sashimi — although the really memorable dish for me was dessert (of course)! 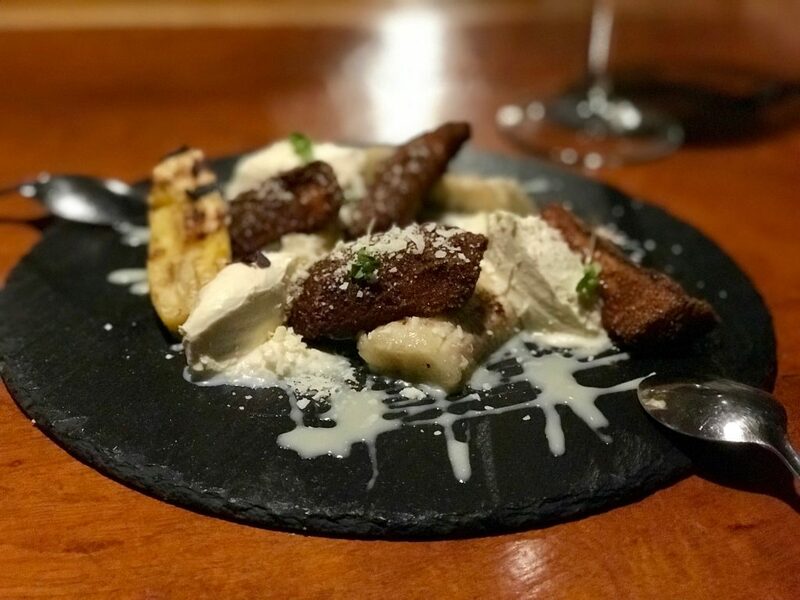 The dish consisted of three types of bananas, prepared in three different ways, and then drizzled with white chocolate and a hard cheese crumble. I know. It’s a little hard to imagine, but all the flavors really worked. 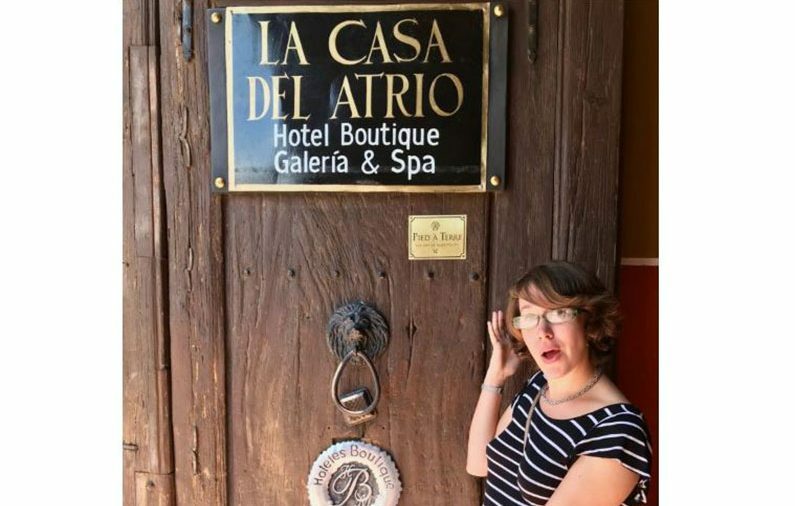 Thank you to the lovely folks at La Casa del Atrio and Mexico Boutique Hotels for a wonderful experience in Querétaro! We can’t wait to go back! Enjoy this post? Save it for later!